How Would Teachers Improve PD? Sessions. Days. Meetings. Trainings. Modules. No matter how it’s framed, PD—that is, professional development—doesn’t always inspire the type of excitement that educators might like it to. Recently, we asked our community to share their reflections about PD: what it looks like at their schools or districts, what works, what doesn’t, and what they want to see. To nobody’s surprise, the initial reaction wasn’t generally positive. “Our PD needs a facelift,” one teacher observed. “Frequently endured, rather than enjoyed…” commented another. Both teachers and administrators felt that traditional PD at their schools and districts was lacking on a number of fronts, leading to experiences that ranged from unproductive to painful. But we also heard about efforts to change the mindset around pedagogy. Principals told us about new formats that invited staff members to select topics they’d like to explore or present, and teachers described EdCamp-style experiences that included group discussion, hands-on practice, and topics that were relevant to what they were currently teaching and thinking about. Our survey responses gave us some valuable food for thought. As it turns out, what educators want from PD sounds a lot like what they want from the other tools and resources they use: an experience that’s flexible and personalized. Here’s a little more about what we learned. 1. Encourage teachers to take the stage. 2. Get hands-on with interactive activities. 3. Promote collaboration with small groups and breakout sessions. 4. Feature topics that relate to real needs in the classroom. 5. Invite teachers to choose what they want to learn. 6. Offer flexible formats for busy teachers. 7. Provide follow-up and support for implementation. 8. Make it easy to meet the right requirements. We offer educator resources as part of our work to make Remind as simple and easy to use as possible, but these insights showed us that there’s a lot of room for improvement. So we started at the most logical point: updating the materials we provide for introducing Remind to other educators. Our new PD Kit includes a short, customizable presentation that explains what Remind is and how it works. We incorporated an interactive demo and guided notes to help participants follow along. And, based on feedback, we added examples of how real educators use Remind to reach their communities. This is a first step in a larger project to make our resources more useful and engaging, and we’re looking forward to the changes ahead. Stay tuned! 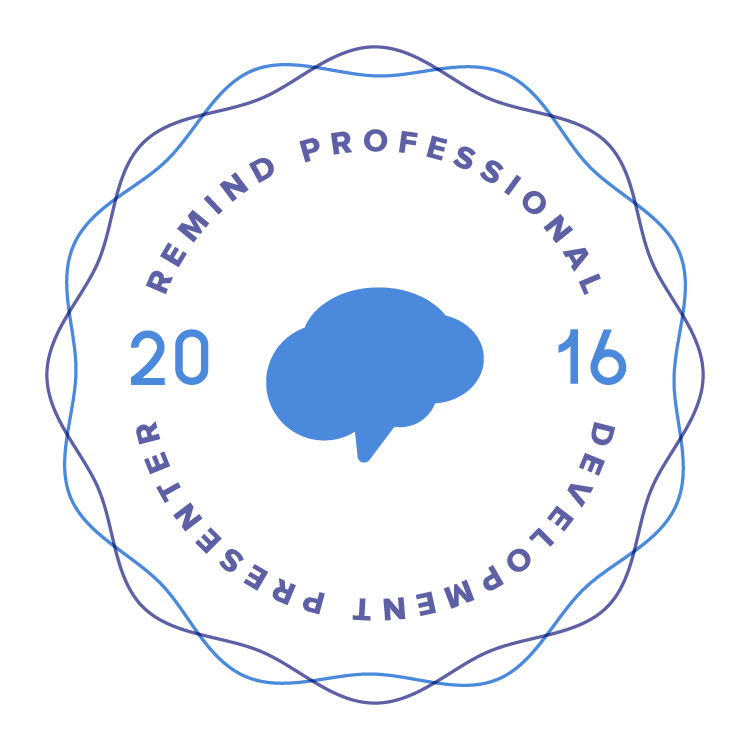 We’ve featured some great posts on this blog about how educators can use Remind to facilitate PD opportunities, including Steve Figuerelli’s thoughtful advice on using Remind as a professional development tool and how his school successfully introduced a Remind class for daily PD messages. Lately, we’ve also heard from educators who model how Remind works for them. One of our favorite ideas comes from Bill Ferriter, who’s shared how he uses Remind to share nonfiction texts with his sixth grade science students (Using Remind to Share Nonfiction Reading With Students, with Update 1 and Update 2). In Larry Ferlazzo’s recent EdWeek blog, Anabel Gonzalez also describes how she uses Remind as a way to build relationships with ELL families. And, of course, educators on Twitter share actionable suggestions every day. What’s been your experience with PD? Tell us about what changes you’d make—or what your school and district do to make PD something to be enjoyed, not endured. And let us know what you think about our PD Kit and how we can make it more useful. We’d love to hear from you!